As I wrote a few days ago a manufacturing workforce shortfall is already hampering recovery of some companies. Among the solutions is the Manufacturing Skills Certification, a portable credential which brings standardization of curriculum and measurement to training. Much of what follows comes from a White House press release, and you may hear it on the radio or see it in the news. Today at Northern Virginia Community College, President Obama will announce expansion of Skills for America’s Future, based on industry partnerships with community colleges, with a nation-wide emphasis on workforce development, job training, and job placements. One of the challenges in today’s manufacturing sector is the lack of a standardized credentialing system that manufacturing firms recognize as useful preparation for their unfilled jobs. Students can spend time and money on training of little value while employers are unsure which credentials should influence hiring and promotions. The Manufacturing Skills Certification System, developed with manufacturing firms at the table, is portable and valued by a range of employers. Partners include the Manufacturing Institute, manufacturing firms, the Gates Foundation, and the Lumina Foundation, ACT, the Society of Manufacturing Engineers, the American Welding Society, the National Institute of Metalworking Skills, and the Manufacturing Skills Standards Council. The last-named have been developing and improving their certifications and bodies of knowledge for decades and its high time that work is recognized. The manufacturing credentials and pathways will be available in community colleges in 30 states as a for-credit program of study. People on the Skills for America's Future board, include Greg Brown, chairman and CEO, Motorola Solutions; William D. Green, chairman, Accenture; Penny Pritzker, chairman and CEO, Pritzker Realty Group (Chair); Brad Keywell, co-founder and director of Groupon, Inc.; Nick Pinchuk, chairman and CEO of Snap-on Incorporated; David Zaslav, president and CEO of Discovery Communications; Ellen Alberding, president, The Joyce Foundation; and Walter Bumphus, president and CEO, American Association of Community Colleges. 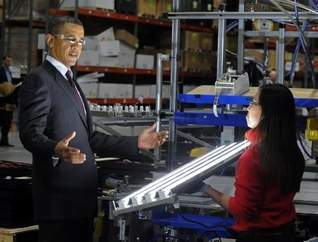 Learn more about Skills for America’s future at www.skillsforamericasfuture.org. The Manufacturing Extension Partnership (MEP) will jump in and promote a curriculum based on NAM’s advanced manufacturing skills certification system. The 60 centers will educate local manufacturers about the value of the skills certification system so they use it in recruitment and hiring efforts. The MEP also feed back skill needs of manufacturers in their local areas and industries. High schools: Global manufacturer Air Products is partnering with SkillsUSA to encourage 3,500 member high schools and 200 colleges to adopt these credentials. Finally, the excitement and opportunity of manufacturing for students will be reinfoced by “Discover Your Skills,” a Discovery Communications initiative designed to raise awareness of career opportunities including PSAs, on-air talent, their media properties and Discovery Education. Jobs for America’s Graduates’ is adopting a five-year goal of helping 30,000 high-risk youth obtain professional credentials for careers that include manufacturing. Archer Daniels Midland Company is JAG’s National Business Partner. All-important mentorships will help 5,000 young people with the aid of the Society of Manufacturing Engineers (SME), the SME Education Foundation and the National Action Council for Minorities in Engineering and the National Academy Foundation. The Department of Labor has already released an updated advanced manufacturing competency model outlining necessary the skills identified by industry groups. Speeches can be just air, and programs can start with high hopes and fade into obscurity. Let's hope that these take root and support the learning we need in industry, and provide models for more. Buried inside some of the skills and credentials we would hope to find plenty of problem-solving and continuous improvement skills. They have been proclaimed as needs even where lean thinking has not taken hold. In addition, if you are a leader in a manufacturing company and near one of the community colleges taking part in the high-profile programs, it is a perfect time for you to get together with their manufacturing departments and contribute with internships and the revival of apprenticeship programs. 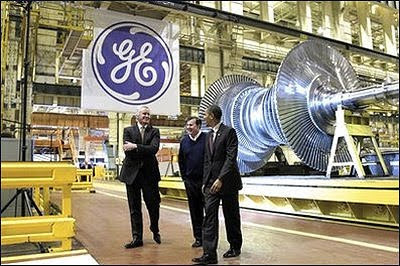 If you are not there at the end of the pipeline, none of the training will do much to solve manufacturing's problems. Being involved will also help you influence programs tailored to your industry if it is not traditional metalworking, which gets most of the attention.